The manufacture of cement is particularly energy-intensive and to cement manufacturers energy efficiency is a very important factor. 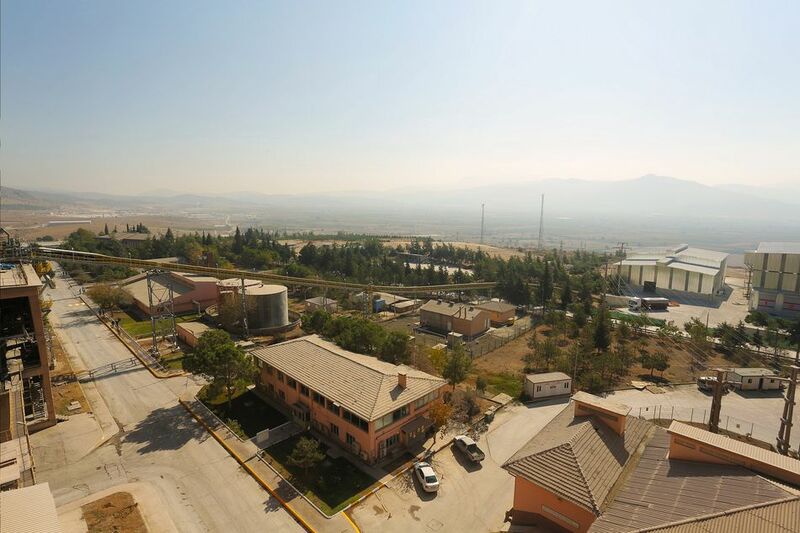 In order to ensure an economical and sustainable operation, the plant Denizli Çimento Sanayii T.A.Ş. 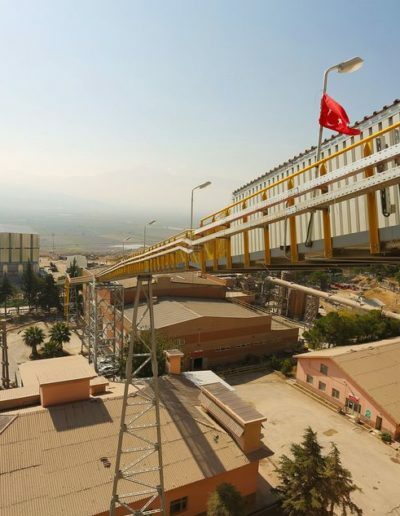 of the cement manufacturer OYAK Group therefore opted for alternative fuels and raw materials to ignite the preheater, the calciner and the main burner. 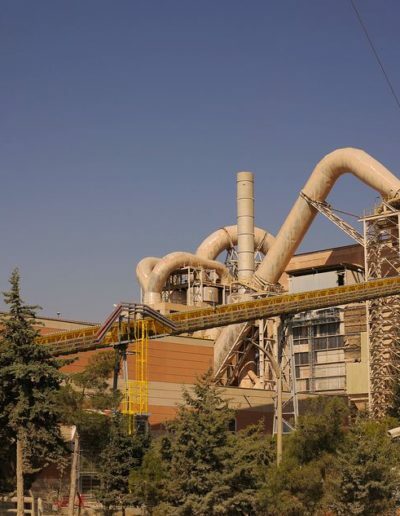 Within the scope of this concept, Denizli Çimento decided to invest in an individual system from the AFR systems segment (alternative fuels and raw materials) of BEUMER Group, which stores, mixes and conveys differently composed materials, such as shredded waste tires. 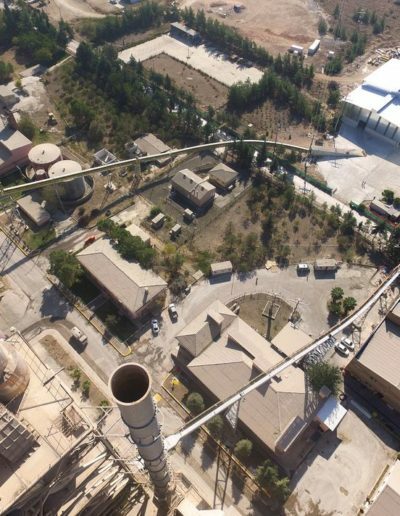 The core of this solution is represented by the two Pipe Conveyors used in this project. These completely enclosed conveying systems ensure an environmentally safe, dust-free and low-energy transport of fuels and raw materials requiring – and this is the most important factor – a minimum level of personnel. This AFR system of BEUMER, investment of the plant Denizli Çimento, has been running since January 2017 and has proved to be a particularly efficient and economical solution. The Turkish cement market is booming. From the third international airport in Istanbul, to the motorway between Istanbul and Izmir and many other large infrastructure, urban redevelopment and residential construction projects; the need for this building material is immense and is expected to grow continuously in the years to come. Manufacturers like the OYAK Group will obviously have a large share in implementing these infrastructure projects. 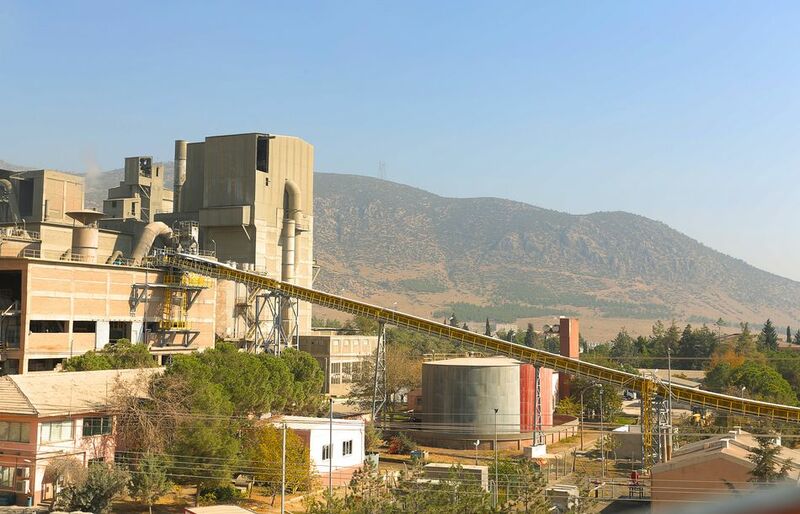 This important cement manufacturer Denizli Çimento Sanayii T.A.Ş. is located in West Anatolia in the Aegean and is a subsidiary of OYAK Group. For the successful production of cement, the manufacturer puts a particular focus on the cost effectiveness of the process. 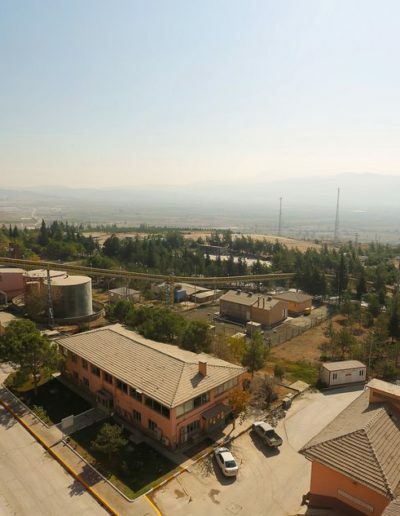 “Our industry has always been energy-intensive,” says Berkan Fidan, deputy factory manager at OYAK Denizli Çimento Sanayii. “But it is also a factor that can be adjusted.” In 2015, the company representatives came together and decided to produce more efficiently and sustainably in order to minimise the use of expensive primary fuels such as coal, gas and oil. The aim was to gain a large part of the necessary energy needed from alternative fuels. These materials comprise differently composed fuels for the calciner and the main burner, the so-called residue-derived fuels (RDF), as well as shredded waste tires whose size usually does not exceed 120 x 120 mm. The operation’s existing plants had not been designed for this. 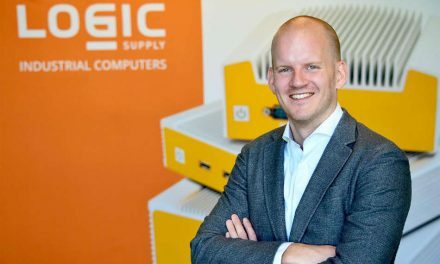 “We needed a partner who supplies and installs a single-source solution. 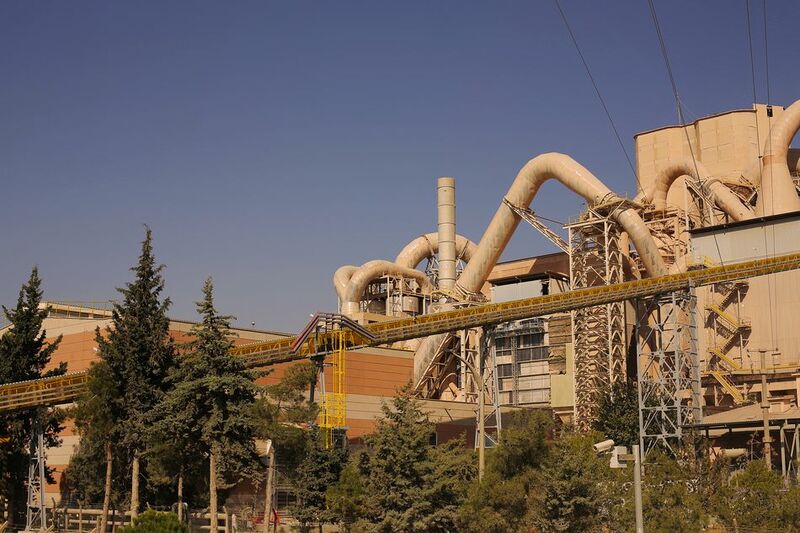 The different materials are to be stored, mixed and conveyed to the preheater tower and the main burner within this system,” explains Güngör Aydin, project manager at Denizli. 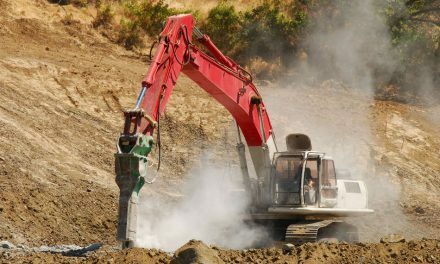 In his search, the cement manufacturer looked to BEUMER Group. “In the past, the system supplier BEUMER had installed a bucket elevator in the plant for a different project,” he said. “We are very satisfied with it and have made only good experience so far.” The contract was signed only one month after BEUMER Group had received the customer’s inquiry in October 2015. 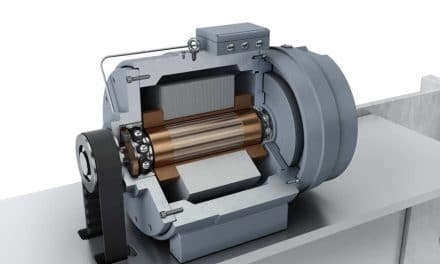 In order to support producers of cement in the alternative fuels and raw materials field, BEUMER Group has developed a complete business segment dedicated to AFR systems. 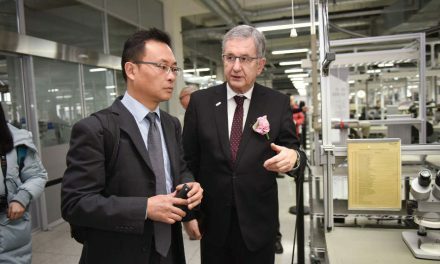 “Our know-how and our tailor-made systems permit us to offer optimum support to our customers,” says Michal Hrala, Managing Director at BEUMER Group Czech Republic. “We have years of experience and we always consider our customers’ specifications”. As a system provider, you have to be able to supply and install the entire chain from acceptance and unloading of the delivery vehicle, to the storing, conveying and feeding process of the solid alternative fuels for the specific user. A single source can supply the entire system to the end customer who therefore only needs one contact like BEUMER. “We evaluated different variants of mechanical transport systems,” remembers Berkan Fidan. 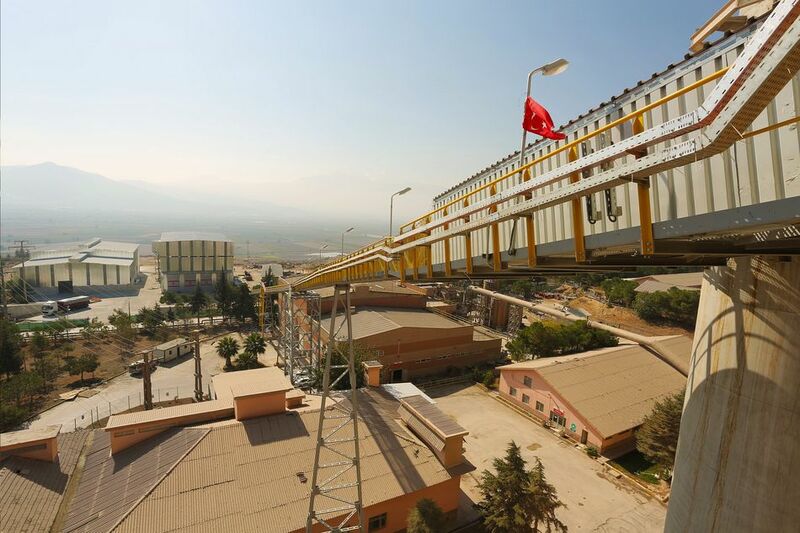 In the end, OYAK Denizli opted for a single-source solution from BEUMER Group based on the innovative Pipe Conveyor technology. In May 2016, CTN MAKİNA, a supplier approved by BEUMER, manufactured all of the steel components for the system and started assembling both the imported components and those manufactured on site. BEUMER Group installed two conveyors, 206 and 190 metres long, as well as the corresponding equipment for the two lines. Each Pipe Conveyor reaches a capacity of 15 tons per hour. “This conveying technology is not only eco-friendly but requires low maintenance,” describes Michal Hrala of BEUMER Group. “Its enclosed type of construction protects the environment safely from material falling down and from emissions. Another advantage is the lack of dust development on the running line”. With its ability to navigate horizontal and vertical curves, the Pipe Conveyor can be optimally adapted to the terrain. In comparison to other belt conveyors, the number of required transfer towers is considerably lower. This allows for substantial capital cost savings for the customer and BEUMER Group can customise the system to the individual routing. The specialists from BEUMER Group also took care of the project planning of the storehouse and the required equipment as well as numerous conveyors and supply lines. BEUMER also handled the supply of mechanical equipment and the steel structure, the assembly and commissioning. On top of that, BEUMER Group installed two containers with discharge devices in front of each Pipe Conveyor ensuring an optimum mixture of the fuels. A container for distribution is also installed at the end of each conveyor. The delivery of the RDF material is carried out in moving-floor trailers. The alternative fuels are unloaded and stored at the receiving station. All four containers for arriving material are fed with material from the storehouse by a grab crane. The different fuels are then burnt in the calciner and the main burner of the kiln. “However, during the constructive dimensioning of this system we were faced with a particular challenge,” remembers Michal Hrala. 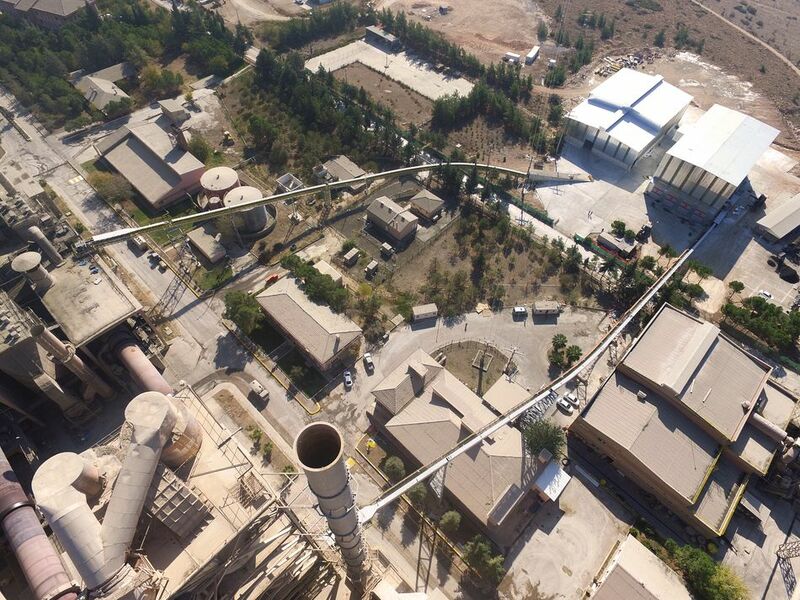 “Since the cement plant is located in an earthquake-prone area, we had to develop the system accordingly.” That means: The design of the Pipe Conveyor ensures that the conveyors withstand not only the dynamic load of an earthquake but also the repercussions. The existing preheater towers represented another hurdle. As they only offered little space, the BEUMER Group employees adapted the required equipment to the narrow conditions.